Who would have thought the Supra would ever be the "expensive" option? The A80 Toyota Supra was once the blue collar hero car. But people in anticipation of the , old Supra prices . Twin turbo models with the six-speed manual can cost anywhere from $50,000 to $100,000 in 2018. We all know the scene from The Fast and the Furious with the Supra versus the Ferrari. The Ferrari mocks the Supra for being "cheap" and proceeds to be defeated in a drag race. The Ferrari may have been more expensive then, but take a look at Supra prices and prepare to be shocked. While Supra prices have skyrocketed recently, almost no one wants a Ferrari 348. We love the Supra, but we would never pay almost $100,000 for one. That is why we have compiled five cheaper alternatives that deliver a similar experience for less. Even though the Supra started out as a blue collar sports car, it has now reached legendary status accompanied by equally legendary car prices. Tuners loved the Supra because it had a twin-turbocharged inline-six that could be heavily tuned to produce more power. 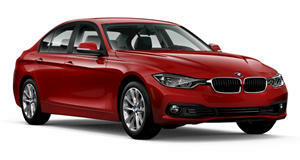 We have picked a pair of BMWs that each come with twin-turbo inline six engines. The E90 335i produced 320 hp from a twin-turbocharged N54 engine. The 3 Series coupe eventually became the 4 Series, which came with a 300-hp N55 twin-scroll turbo engine. Both could be had with a six-speed manual transmission, and both can be , which is less than a low mileage Supra. The second of our newer options on this list is the Cadillac ATS-V. We were blown away when we found out that Cadillac was by as much as $20,000. We found several ATS-V models with low mileage in the low $40,000 range. These cars have a 3.6-liter twin-turbo V6 with 464 hp. This is far more than the Supra produced back in 2002, and it can be paired to an eight-speed automatic or a six-speed manual. 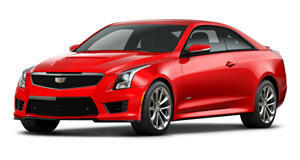 The Cadillac ATS-V is comfortable and luxurious like the Supra, but comes with more modern creature comforts. Back in the '90s and 2000s, the Supra had a few direct competitors and the Mitsubishi GT3000 VR-4 Turbo is the first one on our list. This car was also known as the Mitsubishi GTO in Japan, and was rebadged as the Dodge Stealth in the US. By the time the car ended production in 2000, the twin-turbocharged V6 produced 320 hp, the same as the Supra. Unlike the Supra, the 3000GT was AWD. Also unlike the Supra, prices for the GT3000 haven't become insane. It is possible to get one with less than 100,000 miles . Like Mitsubishi and Toyota, Nissan also built a comfortable, turbocharged sports coupe in the '90s. The Nissan 300ZX lasted for two generations, but the later Z32 Turbo model is far more desirable. The twin-turbo 3.0-liter V6 produced 300 hp through a four-speed automatic or a five-speed manual. The turbocharged manual cars are the most expensive, but can still be found with very low miles for under $30,000. These cars are rising in value, but you can still get in before everyone catches on to this '90s gem. The final car on our list has often been referred to as the Lexus Supra. The first generation Lexus SC was built from 1991 to 2000 and was sold with either a 3.0-liter inline-six or a 4.0-liter V8. The V8 SC400 was only sold with an automatic, but the inline-six SC300 could be had with a five-speed manual. Like the base Supra, the SC300 is powered by a 2JZ engine, so it can easily be turbocharged. Even though the SC300 comes with a fancier badge, they are actually cheaper than used Supras. We found a few really nice examples for between $5,000 and $10,000.